The journey towards formal certification makes it worthwhile. With each certification, I discover new blind spots and learn a great deal in the process. The IAM consists of a standard set of activities required to perform an on-site information security assessment. While not technically a certification, the IAM "sets the bar" for completing a comprehensive INFOSEC Assessment as defined by the IATRP. 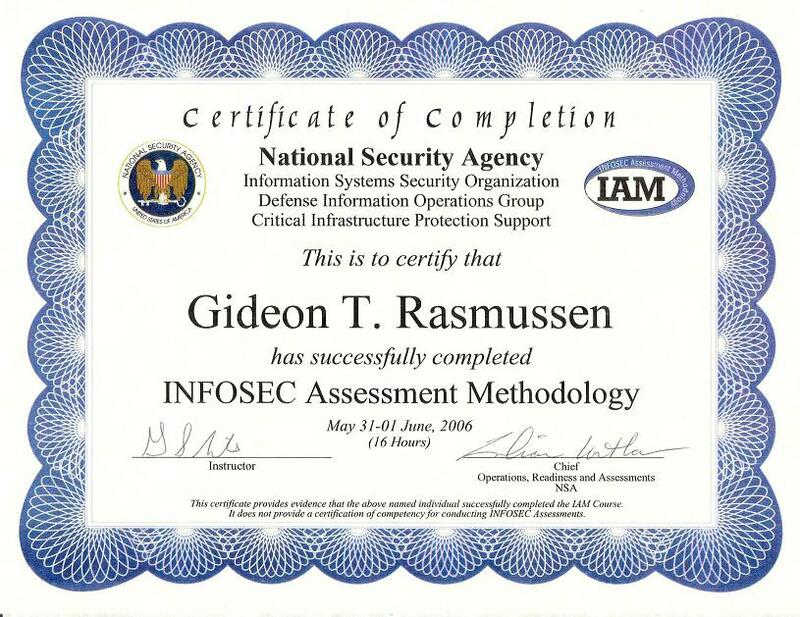 To qualify for an IAM certificate, students must: attend the two-day class; demonstrate an understanding of the IAM through group exercises and class discussions; obtain a passing grade on the IAM test and meet the experience requirements (five years of information security and two years of analyzing security risks and vulnerabilities). A Six Sigma Green Belt operates in support of or under the supervision of a Six Sigma Black Belt, analyzes and solves quality problems and is involved in quality improvement projects. A Green Belt is someone with at least three years of work experience who wants to demonstrate his or her knowledge of Six Sigma tools and processes.